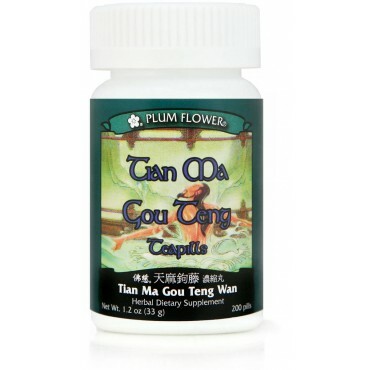 Blurry vision from rising yang accompanied by deficient qi and blood, deficient bi syndromes (arthritis), deficient wei syndrome (facial paralysis), dizziness, facial paralysis, following stroke, mild headache, mild hypertension, trembling limbs, twitching limbs are some of the imbalances satisfied clients have used this product for. Clear Heat, Extinguish Wind, Invigorate Blood, Nourish Liver, Sedate Liver Yang, Tonify Kidney. Activated carbon, Botanical wax, Talcum.